One of the very best things you can do to give your pet a long and healthy life is to ensure that they are vaccinated against common diseases. Your pets’ mother gave him/her immunity from disease for the first few weeks of their existence by providing disease-fighting antibodies in her milk. After that period it’s up to you – with the help and advice of your veterinarian – to provide that protection. Vaccines contain small quantities of altered or “killed” viruses, bacteria or other disease-causing organisms. When administered, they stimulate your pets immune system to produce disease-fighting cells and proteins – or antibodies – to protect against disease. Generally, the immunity that a kitten and puppy has at birth begins to diminish after 9 weeks. It is time to begin the initial vaccinations between 6-9 weeks, with 2 boosters following 3 to 4 weeks after the last set of vaccinations. 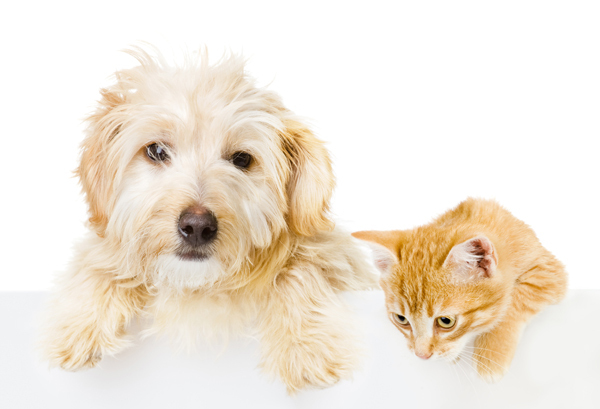 Thereafter, your pet will require repeat vaccinations once a year for the rest of his or her life.